Giveaway and I’m on The Next Chapter on CBC Radio! As promised, I’m doing a giveaway! 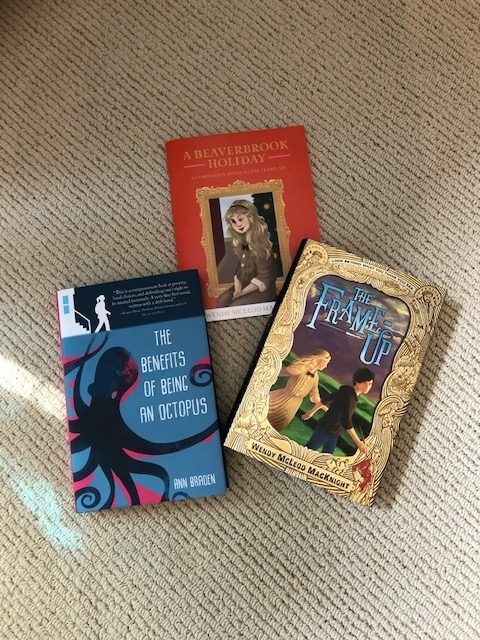 Not only am I giving away a copy of The Frame-Up and its holiday companion story, I’m giving away a copy of Anne Braden’s amazing book, THE BENEFITS OF BEING AN OCTOPUS! The book is autographed to me, but I love it so much that I think it needs to be in the hands of as many kids as possible, so I’m willing to give my copy up! My book riff on The Frame-Up airs this weekend on CBC’s The Next Chapter! Today I did another interview with Shelagh Rogers, for a piece that will air later this spring, and she is as wonderful as you think she is! My piece airs this Saturday at 4 pm on CBC radio 1, and will be repeated on Monday, March 25th at 1 p.m.
Or you can go HERE and listen to it as soon as they post it online! What’s next? I’m almost done the next draft of my WIP. If all goes well, my agent will have it in her capable hands by the end of April! 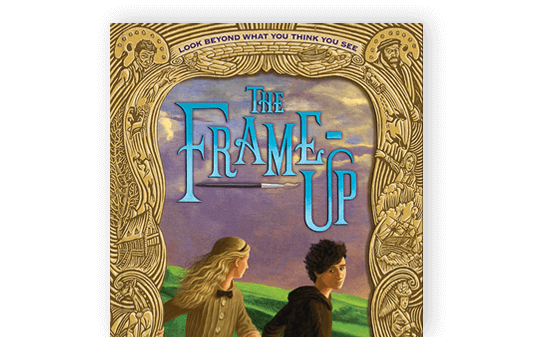 And I get the pleasure of taking students from the elementary school in Geary on a very special Frame-Up tour at the Beaverbrook Art Gallery next week! I can’t wait!!! I see from reading about Braden’s book that the main character takes up debate. I’m glad it sounds like it works out for her: I was so not good at debate! I hear you! And the funny thing is, my next book has a character that takes up debate! It was written long before I read Ann’s amazing book, and makes me smile when I think of how ideas overlap!